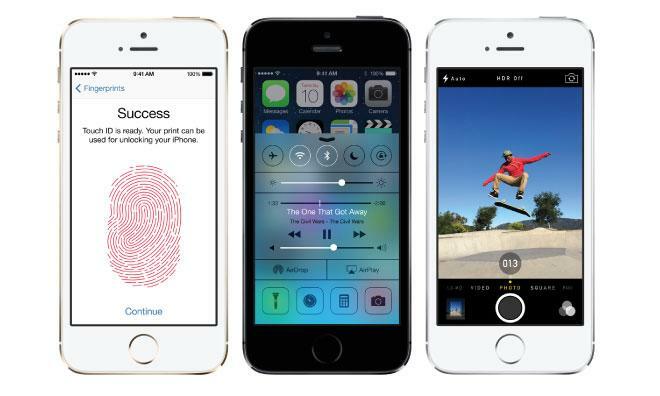 Apple took the wraps off the iPhone 5s on Tuesday, the first smartphone in the world with a 64-bit desktop-class chip, and the new Touch ID fingerprint sensor that allows users to securely unlock the device with just the touch of a finger. The iPhone 5s sports a design similar to the iPhone 5, with a high-grade aluminum back cut with chamfered edges. It will be available in three colors: "space gray," white and silver, and a new gold and white option. Both it and the iPhone 5c, which was also announced on Tuesday, will go on sale next Friday, Sept. 20 in the U.S., Australia, Canada, China, France, Germany, Japan, Singapore, and the U.K.
Pricing on the iPhone 5s is the same as its predecessor: $199 with a new two-year service contract for the entry-level 16-gigabyte model, while 32-gigabytes will run $299, and 64-gigabytes is $399. One of the biggest additions to the iPhone 5s is the new Touch ID sensor, built right into the home button on the device. The sensor is 170 microns thin, senses 500 pixels per inch, and scans a user's sub-epidermal skin layers. The new sensor is capable of securely reading a user's fingerprint in 360 degrees, from any orientation. The updated home button is also made of sapphire crystal, so it won't scratch and prevent use. Now users will be able to simply touch their home button to unlock their phone, enter passwords, or authorize transactions on the App Store or iTunes. Touch ID can handle multiple fingerprints, and the new home button uses capacitive touch to read a user's unique finger. 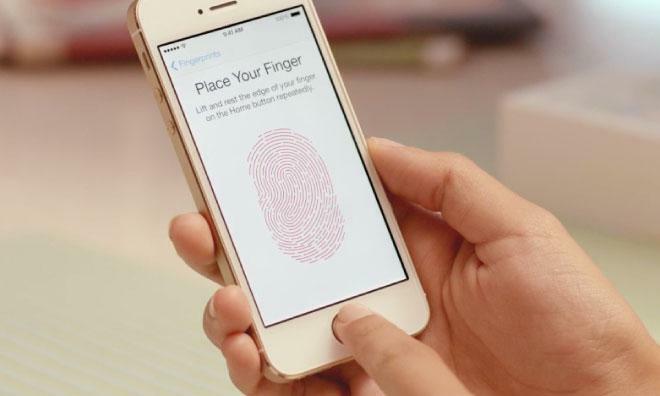 The fingerprint data is never available to other software, and it is not backed up to Apple's servers, leaving it stored entirely on the device in a secure fashion. 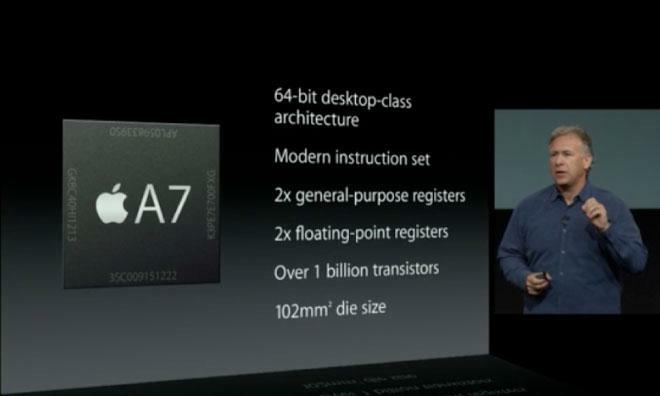 The new A7 processor includes over 1 billion transistors, which doubles that of its predecessor, the A6. Accordingly, Apple's iOS 7 operating system had been updated to take advantage with a 64-bit kernel, libraries and drivers. As a result, the new CPU is twice as fast, and graphics performance has also been doubled. Apple marketing chief Phil Schiller boasted that the new A7 is 40 times faster than the original iPhone. To show off the power of the A7, Epic Games was at Tuesday's iPhone keynote to unveil the upcoming iOS title "Infinity Blade III," scheduled to launch alongside the iPhone 5S. The publisher said that the new chip enabled four times the character detail with new features like blur and lens flares. Another new piece of silicon in the iPhone 5S is the M7 motion co-processor. It constantly measures motion data, enabling an entirely new generation of health and fitness applications, Schiller said. A new application from Nike will take advantage of the M7, dubbed Nike+ Move. The software uses both the M7 and GPS to keep track of user activities. Even with the new processing power, Apple claims the iPhone 5s will offer 10 hours of 3G talk time and 250 hours of standby. It also has 10 hours of LTE browsing, and 40 hours of music playback. 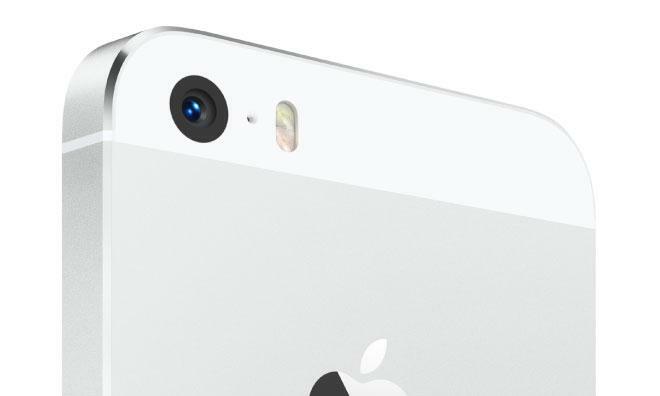 iOS 7 has also been optimized to take advantage of the new camera hardware in the iPhone 5S. New features include automatic white balance and exposure levels, autofocus matrix metering, auto-stabilization, and selecting the sharpest in a series of photos. The iPhone 5s also features dual LED flash that Apple has branded "True Tone." Apple says the new flash component will help address clashing color temperatures, resulting in better photos in low-light situations. The integrated camera application also offers a new "Burst Mode," capable of capturing up to 10 frames per second. Users can snap these shots by simply holding down the camera shutter button. The A7 chip will then analyze the burst shots and recommend which one it thinks is the best. The upgraded camera also includes slow-motion video capture capabilities at 120 frames per second in 720p high-definition. 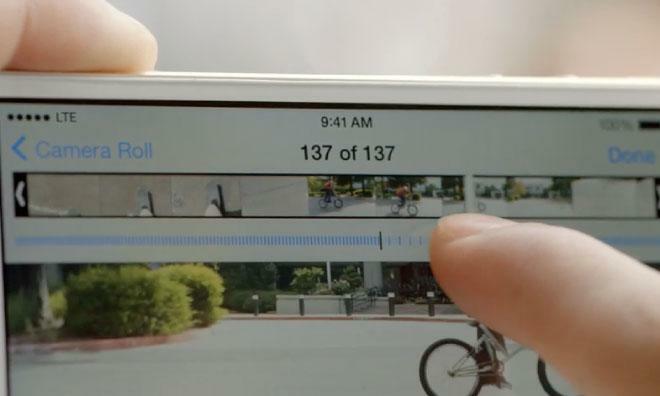 Apple's Camera software allows users to select which parts of a video they want at normal speed, and which parts will be slowed down.